Is Your Bank Account in the Gutter? Regardless of division, region, or athletic association, bowling is a fiercely competitive collegiate sport that draws student-athletes to stand-out athletic programs at U.S. colleges and universities. To make ends meet, gifted bowlers tap scholarship resources reserved for star performers within the sport. Whatever your academic goals are, higher education sponsorship helps ease the financial burden of college. Use all your abilities to land financial aid for school, including your gift on the lanes. The NCAA is the largest athletic association in the U.S. If you are good enough to bowl for a Division I or Division II school, you may be eligible for some scholarship dollars. There are 43 member schools that offer Div 1 or Div 2 Women’s Bowling and only 2 schools that offer scholarship bowling for Men. There are, however, many men’s college bowling teams. The National Junior College Athletic Association (NJCAA) represents collegiate competition at junior and two-year colleges. There are some very competitive athletic programs in this association, so worthy bowlers pursue educational opportunities at participating NJCAA schools. Bowling is unrecognized as a “championship sport” by the National Association of Intercollegiate Athletics (NAIA). In spite of the NAIA designation, a number of good bowling programs operate within the NAIA school system, including favorites Pikeville College, Lindenwood University, and Lindsey Wilson College. In some instances, otherwise unknown colleges deliver enviable showings in high-profile collegiate bowling competitions. State of the art facilities, and the promise of high levels of competitive success bring athletes to smaller programs, especially when academic scholarships offset tuition expenses. 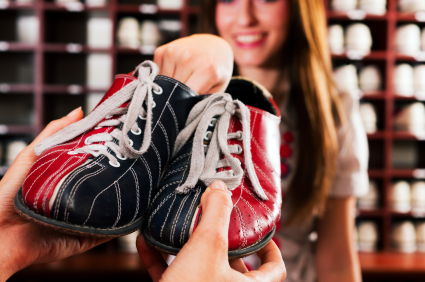 Whenever possible, individual campus bowling programs distribute aid to support their athletes. Additional resources for bowling scholarships include community bowling leagues, and state/regional bowling associations. Elmira Youth Bowling Scholarships are open to student bowlers in the Elmira, New York youth bowling league. Applicants must be under 21 and enrolled in post-secondary educational programs. Awards are valued at $500 each. The Wisconsin Dells Family Bowling Scholarship Team Tournament invites family teams consisting of two junior bowlers and two adult bowlers to compete for student scholarships. USBA rules apply and winners receive scholarship money once they have actually enrolled in post-secondary colleges or universities. the program is administered by the Wisconsin Dells Education Foundation. The USBC is a virtual clearinghouse for bowling scholarships. The following, recent awards illustrate the organization’s commitment to education. Contact the United States Bowling Congress for information regarding specific programs. Pepsi USBC Youth Championships is an annual United States Bowling Congress-Pepsi Sponsored international youth bowling competition, at which over $300,000 worth of bowling scholarships are awarded. The USBC Junior Gold Championships compete for more than $70,000 in college scholarships. Enrollment in an undergraduate program, at an accredited college/university is required. High School students are not eligible. You may also contact the youth director at your local bowling center to get current information regarding the Pepsi USBC Youth Championships. Gift for Life Scholarships honor the heroes of September 11, 2001 and others who regularly risk their lives to save others. Scholarships are valued at $1,000 each, and applicants must present GPAs of at least 2.0. Two of the twelve awards are set aside each year for sons and daughters of police, fire and emergency rescue personnel. Applicants are also evaluated based on financial need. Who’s Who Sports Edition All Academic Bowling Team is an honorary team comprised of USBC youth selected to receive $1,000 scholarships that are awarded based on community service and academic achievement. USBC members published in the Who’s Who Among American High School Students – Sports Edition, are eligible to compete. Earl Anthony Memorial Scholarships recognize 5 USBC youth members annually, based on academic achievement, community service and financial need. Awards are valued at $5,000 each. The Annual Chuck Hall Star of Tomorrow Scholarship is presented to a male high school senior or undergraduate student who competes in the sport of bowling. Selection criteria include academic achievement, community involvement and distinguished bowling performances on the local, state and national levels. Each award is valued at $1500, and renewable for up to 3 years. Applicants are USBC members in good standing that have cumulative GPA histories of at least 2.5. All entering freshman, transfer students and currently enrolled WSU students are eligible for the school’s bowling scholarships. Bowling scholarships at Wichita State are given to student bowlers who demonstrate elite-level skills, teamwork, loyalty, strong work ethic and commitment. Scholarships are typically worth around $650 for in-state recipients and up to $2800 each for out-of-state recipients. Three memorial/honorary scholarships also benefit outstanding bowlers at Wichita State. *TSU mourns the loss of its outstanding women’s bowling coach. Robert Powell created a perennial force within SWAC women’s athletics. His bowling teams landed no fewer than four SWAC Championships and countless other accolades. Coach Powell lost a long battle with cancer in late 2012. His passion for the sport is clear in the following entry. Top notch bowlers are offered scholarship money to bowl for Vincennes University. The school recruits men and women for its bowling programs. Scholarship amounts are determined based on financial need, as well as individual athletic and academic merit.